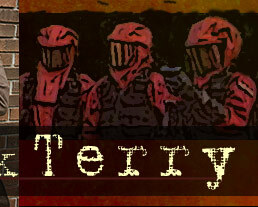 ark Terry is the bestselling author of the Derek Stillwater thriller novels, as well as several standalone mysteries, thrillers, and short stories. His novels have been called "blisteringly paced and unrelenting," (Paul Levine) as well as having "the explosive power of a hollow-point bullet." (Gayle Lynds). James Grady, author of Six Days Of The Condor says Terry's work "is closing in fast on grabbing that big-action, ticking-clock thriller franchise market." 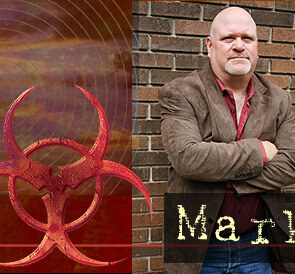 A fulltime writer, editor and ghostwriter, Mark Terry is the author of four Derek Stillwater novels, THE DEVIL'S PITCHFORK, THE SERPENT'S KISS, THE FALLEN, and THE VALLEY OF SHADOWS. He is also the author of several standalone thrillers including HOT MONEY, EDGE, DIRTY DEEDS and CATFISH GURU. He is also author of the popular nonfiction book, FREELANCE WRITING FOR A LIVING. His novels have been translated into French, German and Slovak. An active member of International Thriller Writers, Mark Terry regularly contributes to the ITW's monthly newsletter and, in 2008, served as a judge for the Thriller Award. 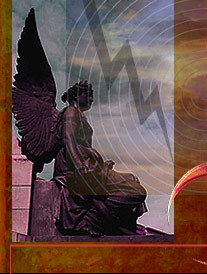 He is also a member of Mystery Writers of America. Mark Terry lives in Michigan with his wife, two sons, and a chocolate Lab named Frodo. When not writing, Mark studies sanchin-ryu karate, lifts weights, bikes, runs, and kayaks. Read a recent interview here.